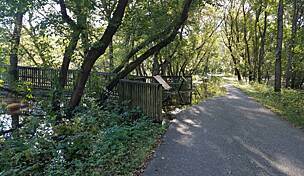 The name “Cedar Valley Lakes Trail” conjures images of lazy summer days by the river and magnificent fall leaf-peeping excursions. The actual experience doesn’t disappoint; in fact, it exceeds expectations. 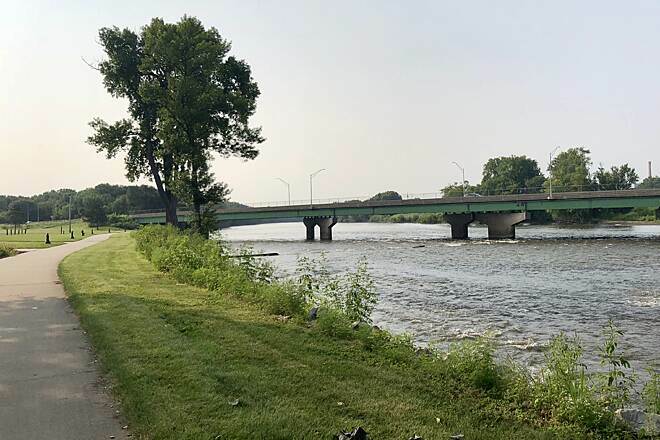 The trail—part of a 110-mile network of multiuse, soft, and emerging water trails—follows a heavily wooded route along the Cedar River, passing Alice Wyth Lake, Fisher Lake, George Wyth Lake, and Brinker Lake. The opportunities for recreation are limitless, with fishing, camping, picnicking, swimming, and more to entice outdoor enthusiasts. Depart from Cedar Falls at Gateway Park, which has a playground, ice skating (in winter months), restrooms, and parking. 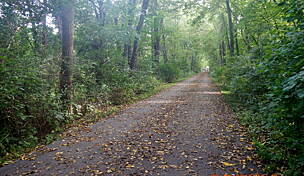 The trail begins in a wooded area that offers connections to hiking trails and plenty of benches for rest and respite. 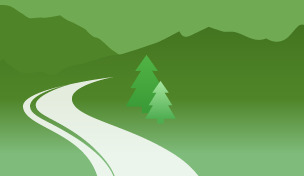 Stay aware as you approach US 218; the trail—which continues on the opposite side of the road—is not well marked. Stay right to follow the trail under the overpass. Just 3 miles into the trip, a noteworthy diversion is Alice Wyth Lake, where there is a fishing jetty and an accessible shoreline. Alice Wyth Lake is immediately followed by George Wyth State Park and Lake, which features a popular beach for locals; here, you can picnic, camp, play on the jungle gym, fish, or swim. This state park also offers a unique perk: It connects to the Cedar Valley Paddlers Trail, a water trail that starts at Fisher Lake in the state park. 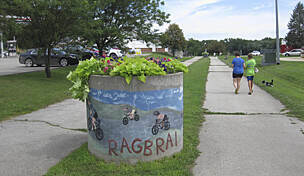 The trail takes you past Tibbitts Park and into downtown Cedar Falls and Waterloo, after which it passes Riverfront Stadium and runs through a small, quiet neighborhood for a short distance. 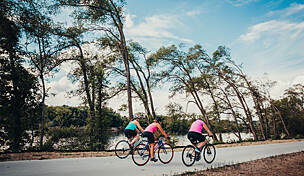 You’ll pick up the trail again at Cedar River Exchange Park, which offers riverfront amenities, including picnic areas, sports fields, a skate park, boating areas, and more. Continue past the park to downtown Waterloo, where you’ll find plenty of places to eat, grab a cup of coffee, or purchase a tasty treat. You may want to partake in many of the outdoor festivals hosted in downtown Waterloo during spring, summer, and fall, or just take in the history of the town by checking out one of several historical markers, such as the Vietnam Memorial dedicated to those Iowans who served in the war, or the marker remembering the great floods of 1858, 1929, and 1961. 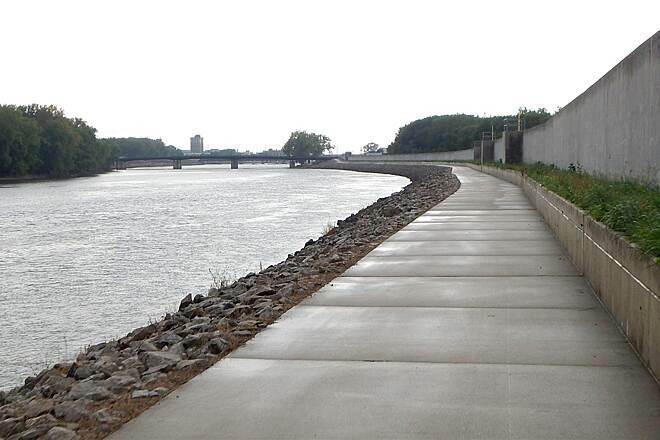 Part of the trail is built on top of the town’s levee, which is tastefully landscaped with a variety of vegetation, flowers, and lighting. 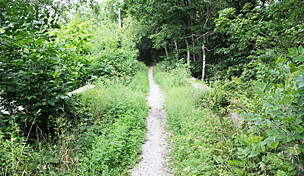 After Waterloo, the trail continues 3.2 miles to its endpoint in Evansdale. Note: Fishing licenses are $9.50 per day and are available from the Iowa Department of Natural Resources. For more information, go to http://www.iowadnr.gov/Fishing/Fishing-Licenses-Laws/Additional-Regulations. In some parks, swimming is strictly prohibited. Follow posted rules for each park facility. 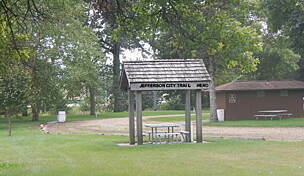 To reach the western trailhead at Gateway Park in Cedar Falls from SR 58, take the exit for SR 57 toward Cedar Falls. Go 1.3 miles, and turn right onto Main St. Go 0.2 mile, and turn right onto Lincoln St. Turn right into the trailhead parking lot. The closest parking at the southeast part of the trail is in Waterloo. To reach the parking lot from I-380, follow the route to US 218, and continue on US 218 N for 1.3 miles. Keep right to continue on Washington St. for 0.2 mile. Turn right onto W. Sixth St. Go 0.4 mile, and turn right into the trail parking lot at the intersection with Water St. If you pass the University of Northern Iowa Center for Urban Education, you have gone too far. 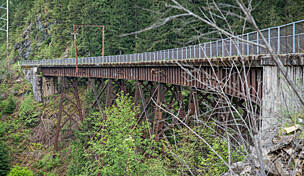 The endpoint is located 2.5 miles southeast along the trail at Randall Ave. 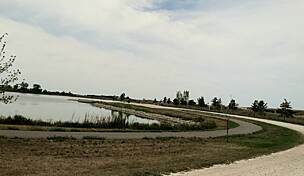 This trail is part of the bigger Cedar Valley trail system. My husband and I spent the weekend at George Wyth State Park and rode most the the trail system. It connects right in the park. Really nice trail with loops so you can go out on multiple days and go different directions and end up back at home base. We did most of the trail in two days. Everything was great, plenty of amenities along the trail. Downtown Cedar Falls very bike friendly with lots of bike racks. Great restaurants,we ate at Montage, expensive but good. Did have one stretch that went through industrial area that was a bit sketchy, say a drug deal going on, also ended up in an area that had condemned homes from flooding that was a bit sketchy also. We will definitely make this an annual excursion.